20Echo uses patent pending technology to harness the power of your pictures to form an instantaneous journal of your surrounding environmental conditions that is intuitive and simple to use. 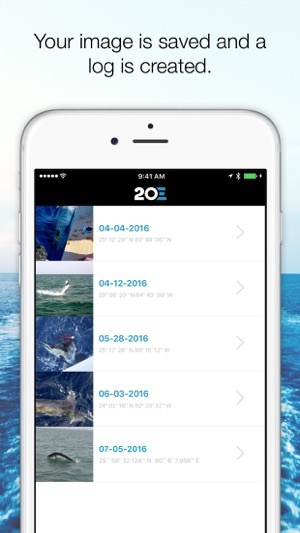 We allow users to snap pictures with mobile devices and instantly capture an automatic log that will help you catch more fish and better understand why and when things happen. Hemingway once said true nobility lies in being superior to your former self. Like Hemingway at 20E we understand that fisherman cannot get better repeating the same routines, to get better we must learn from our experiences. We use the world’s foremost technology to couple human and artificial faculties to generate echoes that will make you impossibly better at fishing. Whether your goal is to repeat history or forget it we are always standing-by listening for your latest location. Twenty Echo was built in cooperation with the best offshore fisherman in the world. The kind of fisherman that have numerous world records in various oceans and the kind that do it everyday to pay their bills. At no extra charge we will build offshore specific logs for your pictures that include Sea Surface Temperature, Chlorophyll Levels, Altimetry, Current Direction and Speed, Salinity, Radar Imaging, Water Depth, Wave Height and Direction and a host of other great things. 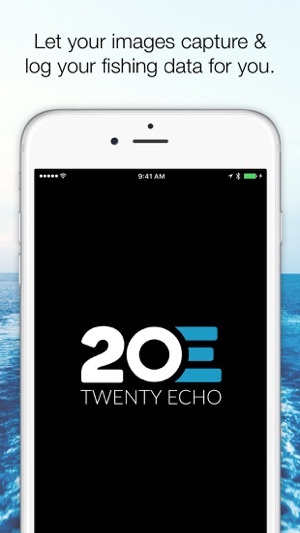 As long as location services are on 20Echo knows where you are. When your cell signal returns your pictures information will instantly load and over the course of the next two days we will ensure your Echo’s provide the absolute best and most accurate data representations in the world so that you can head back out and do it again. Want to know why you really catch fish? Catching fish consistently is all about the right weather, tides, etc. 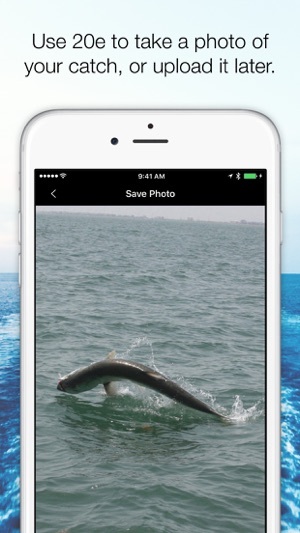 Take a picture when you catch fish (or when you don't) and the app stores all the data for you so next time you'll know when/where to go (or not). 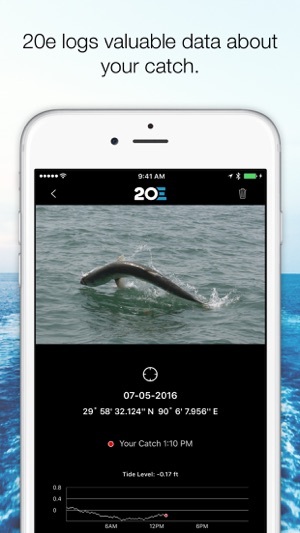 20 Exho has changed the way I fish inshore and offshore. 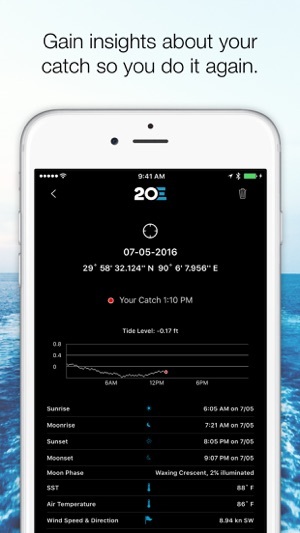 Has helped me plan my fishing days based on optimal conditions as 20 Echo has logged them from previous trips. Unreal! 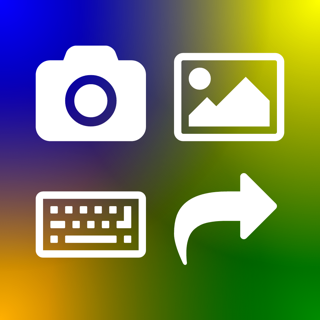 Get this app! It helps you know under what exact conditions YOU catch fish ON YOUR home water.